As another year far into the millennium comes to a close, many may be reflecting on how different our future turned out from how we once imagined it would be. Contrary to the many movies, books, and personal speculations on the future, we have so far no flying cars and no robot servants, no time travel or warp speed. And yet, so much has changed, but we simply didn't see the technology coming. And though we can only make grandiose and educated guesses on what the future holds, we at least know what's going on right now. And that's the most important of all. What if we don't actually know our reality? What if, despite everything we know, every way in which we've lived our lives, we are merely just a computer game simulation? Could it be that every person and thing in the cosmos is a really character in a massive computer game? Though it may sound like another idea best left for the creatives of the world, it's actually a legitimate scientific hypothesis. Researchers have been mulling over the possibility all year long. 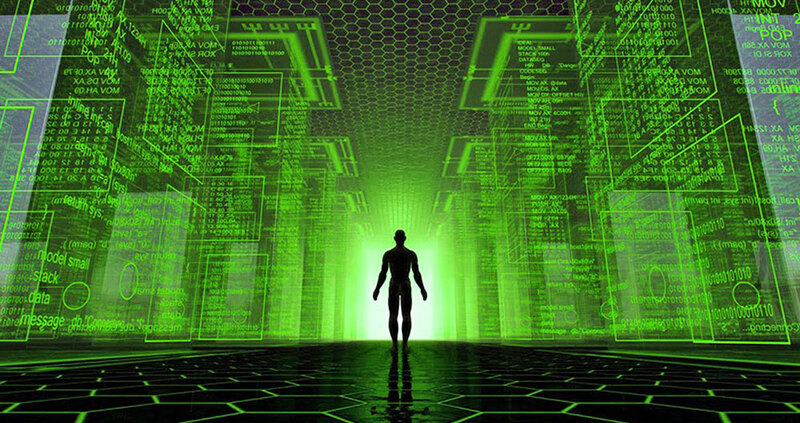 One of the biggest arguments for the simulation hypothesis came from University of Oxford philosopher Nick Bostrum in 2003. Bostrum posed the idea that members of an advanced civilization with massive computer power may choose to generate simulations of their ancestors. They could potentially be able to run multiple simulations at one time, and most of the minds contained therein would eventually be artificial ones, as opposed to the original ancestral minds. Statistics say we would most likely be the simulated minds. As times goes on, we learn more and more about the universe, and it seems that the more we figure out, the more likely it can be assumed it's all based on mathematical laws. "If I were a character in a computer game, I would also discover eventually that the rules seemed completely rigid and mathematical," noted Max Tegmark, a cosmologist at the Massachusetts Institute of Technology (MIT). "That just reflects the computer code in which it was written." Our virtual reality is further supported by the ideas from information theory that continue to show up in physics. "In my research I found this very strange thing," explained James Gates, a theoretical physicist at the University of Maryland. "I was driven to error-correcting codes - they're what make browsers work. So why were they in the equations I was studying about quarks and electrons and supersymmetry? This brought me to the stark realization that I could no longer say people like Max are crazy." High-profile advocates continue to bring this idea to the fore. Technology entrepreneur Elon Musk said that the odds are "a billion to one" against us living in "base reality." "maybe our whole universe is a science experiment of some junior high school student in another universe." How are we supposed to react to the idea that, very possibly, at least according to several physicists, reality as we know it is a lie? How do we wrap our heads around the idea that our Universe isn't real, but instead a giant simulation? Maybe we don't need to. Maybe, dare I say, it doesn't even matter. It's also important to note that, if we are living in a giant simulation, we have been programmed to function within the rules of the game, so we wouldn't know the difference anyway. "There is, however, a more profound reason why perhaps we should not get too worried by the idea that we are just information being manipulated in a vast computation. Because that is what some physicists think the 'real' world is like anyway," explained Philip Ball for BBC. Philip Ball also brings up the point that, even though people like Elon Musk are considering this theory, he most likely doesn't view everything around him, including his friends and family, as characters of a computer game. "Partly, he does not do so because it is impossible to hold that image in our heads for any sustained length of time. But more to the point, it is because we know deep down that the only notion of reality worth having is the one we experience, and not some hypothetical world 'behind' it," Ball noted. Perhaps we shouldn't care simply because it cannot be proven at this time that comprehending this reality would change our thoughts or actions. And without this link, our reality can only continue to be meaningful in the way that we know it, real or not. What happens when we become self-aware? 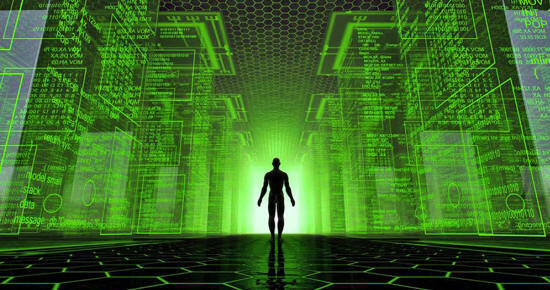 What happens when we become aware of the Matrix?